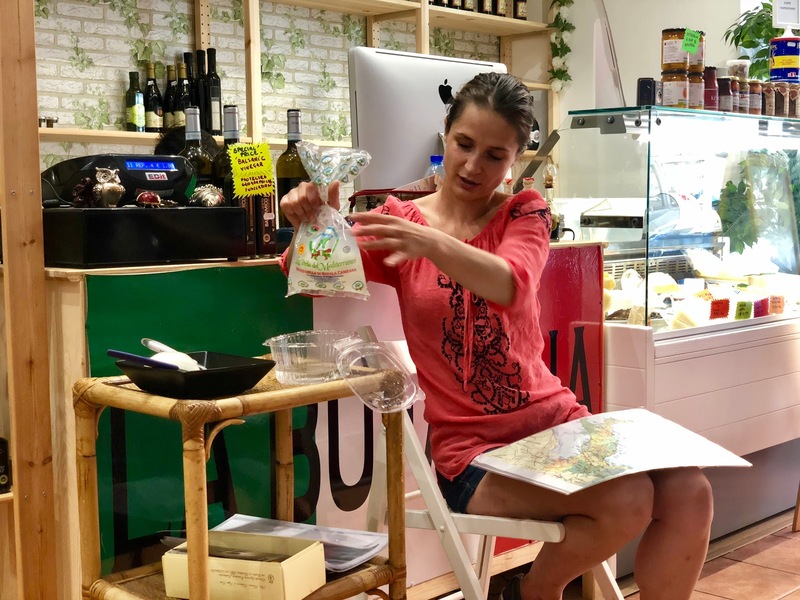 Along our travels we always look to squeeze in a food tour, especially in places with rich food history and tradition. 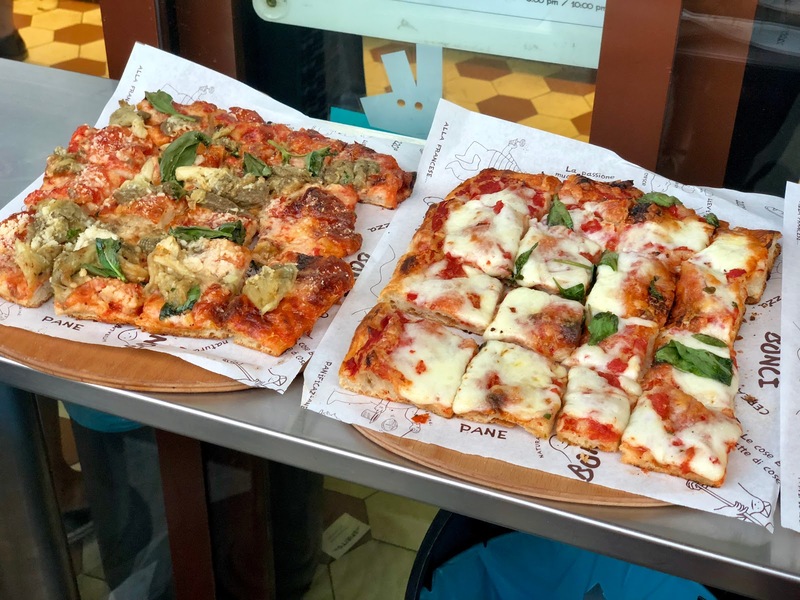 Rome is one of those world wide famous places for all things pizza, pasta, meats, fish and wine so we simply couldn’t give it a miss. Prati by Sunset by The Roman Food Tour gave us an amazing opportunity to explore a less touristic area of Rome, offering a break from the huge crowds and sizzling heat as the sun went down on our first night in this wonderful city. With a ciao and buona serra, we entered our first stop, Le Chiccherie with our fantastic guide, Emmi, and the rest of our group. From this moment of our lives onwards, mozzarella will never be the same again as we learnt all about its importance in Italian cooking, and why it is simply impossible to get the best of it anywhere else other than Italy. It is made fresh every morning in the Italian countryside and it’s incredibly short shelf life is the reason why exported versions of it simply can’t bring out the sweet flavour that we experienced here. Buffalo milk also has twice the amount of protein as regular milk. One rule of thumb we learnt on the tour is “what grows together, goes together,” and here is the perfect example. White wine grapes also grow in volcanic soil and the combination of D.O.C.G (the highest accreditation one can get for Italian wine) and some mozzarella di buffalo is one we won’t forget in a hurry. 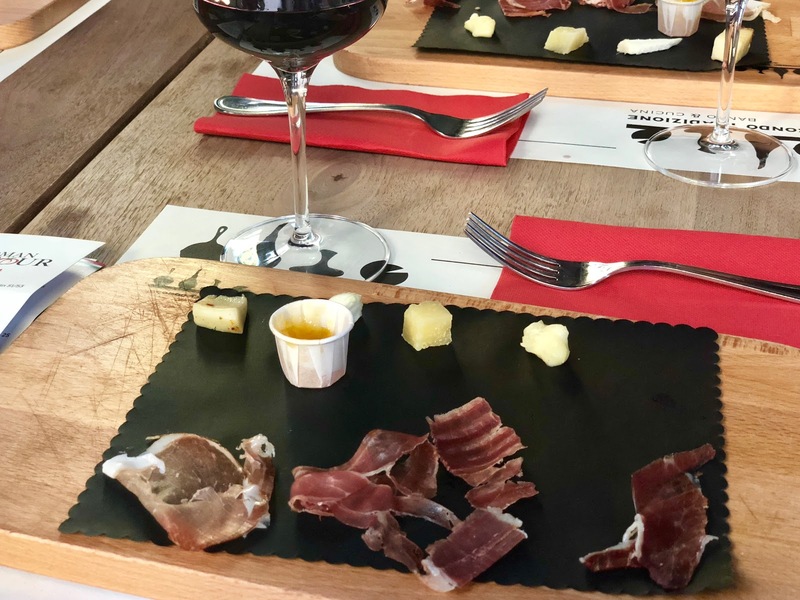 We spent a considerable amount of time at Le Chiccherie, as we couldn’t leave without trying a sample of €330,000 truffles, 25 year aged and €155 a bottle balsamic vinegar and a Genovese DOP pesto which I’m still trying to find words to do justice to. There was simply too much fun, facts and not enough words to describe it all on this tour. Le Chiccherie was a big highlight for us, as was Bonci – Rome’s number one pizzeria. 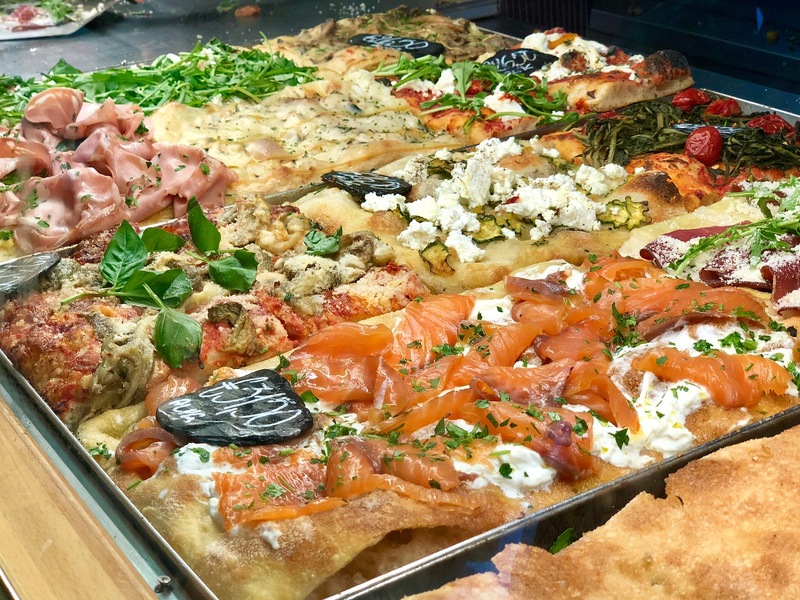 Their pizza dough is rested for 72 hours to make it extra crunchy and light, yet able to hold the incredible variety of toppings that are impressively displayed at the front of the shop. With over 80 different pizzas to choose from, it was a good job that Emmi ordered a wide selection for us to pick at, compare and devour whilst stood outside watching the sun go down. 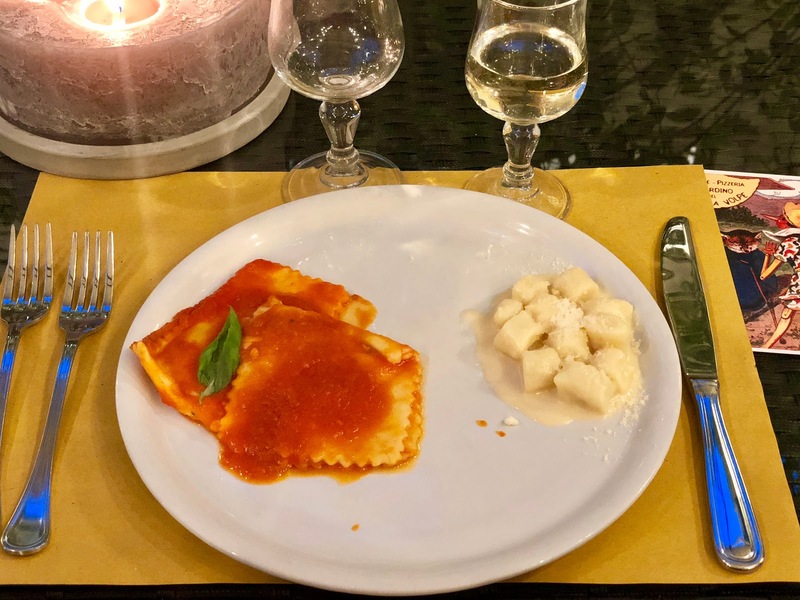 Following Bonci, we made our way to our penultimate stop for a calamari starter followed by ricotta and spinach ravioli alongside four cheese gnocchi. Both were absolutely incredible and full of flavour, perfectly complimented by glasses of D.O.C.G white wine. One moment at this restaurant will live long in the memory of a fellow London couple, who had the surprise of having their first anniversary toasted with prosecco with a small celebrated with a small dessert and sparkler – it was a great touch! 1. 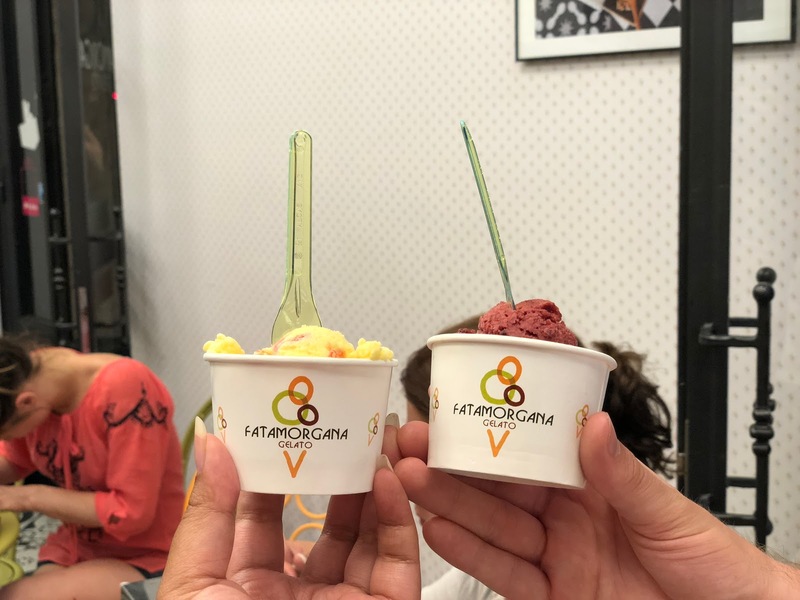 Do not go for the places that have the “gelato” whipped up and piling high over the containers. Instead, look out the metal tins which keep the gelato at the right temperatures and are not made with un-natural ingredients and preservatives which gives the fake stuff its look. 2. Only choose gelato which has natural tones, not bright, vibrant and shiny colour. This is again down to the quality of the ingredients that are used to make it. It was easy to tell that what we had at Fatamorgana was amazingly fresh, high quality and made that very day to ensure it. The flavours were light, refreshing and just what we needed after so many savoury dishes beforehand. Overall the Roman Food Tour was an amazing way to spend an evening in one of the world’s culinary capitals. It gave us everything that we expected and more, and was pulled all together by our fantastic guide, Emmi. Thank you to her and everyone at the tour for having us! 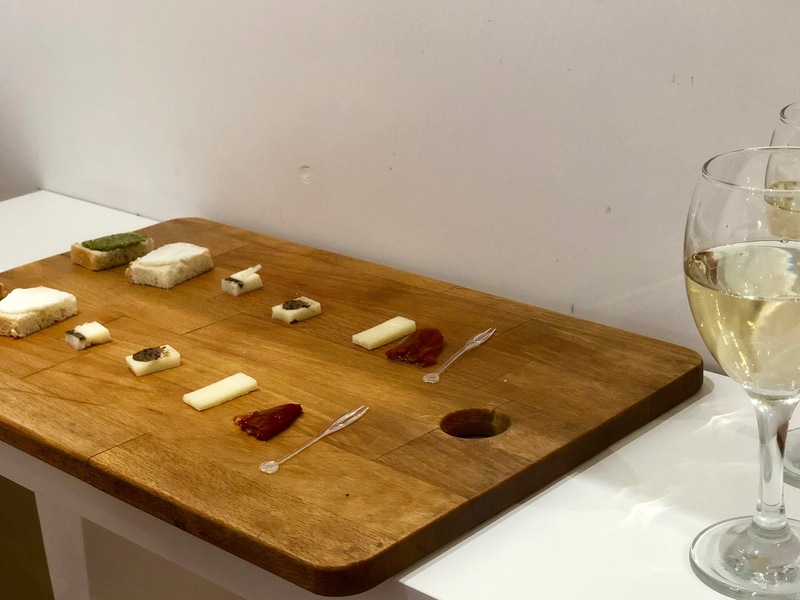 Disclaimer: we were given complimentary tickets to the Roman food tour in exchange for a mention in this blog post and coverage on social media. However as always, all pictures and views are our own. Oh my good… this is making me so so hungry! and jealous! I wanna go to italy now! Italian food is the best! Thanks for sharing your post about your travels. The food looks delicious and it's great to learn things about Italy and the different foods you tried. Thanks for sharing your gelato tips. I love reading about your trips!